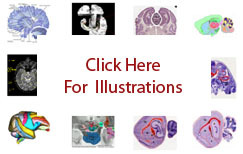 The term cortical amygdalar nucleus refers to the greater part of the amygdala facing the medial surface of the temporal lobe in primates and the ventromedial surface of the cerebral hemisphere in rodents. Defined on the basis of multiple criteria, it is subdivided variously by different authors. Most,divide it into an anterior cortical amygdalar nucleus and a posterior cortical amygdalar nucleus. In the human and the macaque its cortical surface is referred to as the periamygdalar area ( Carpenter-1983 ), and some authors refer the the cortical nucleus itself as periamygdalar cortex ( Amaral-1992; Olmos-2004 ).